We've started to construct a new Soda Kiln at Carmarthenshire College using refractory castable cement. We plan to finish the build next week and start get some work through the following week. The project is also linked with the International Ceramics Festival - ICF 2013. 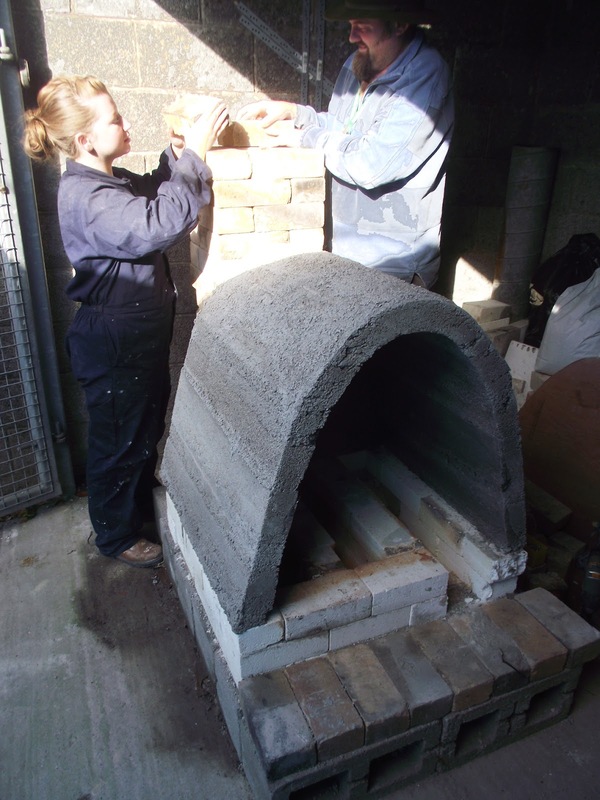 We plan to rebuild the same kiln and fire it at the festival as part of a research experiment to see how efficient the kiln will be in comparison with a similar design using different materials constructed by Jo Finch.